Fans of meditation say it can improve your mood and your health. Good Morning America's Paula Faris — journalist, wife, mom of three, and born skeptic — put it to the test. Ten years ago, I would never have considered meditating. But I wasn't a mom then. The other day, my 3-year-old licked a popcorn kernel off the floor at Starbucks. And incredibly, that wasn't the moment that drove me to look for some inner peace. No, that came while I was alone in my car one afternoon. I'd pulled off to the side of the road, crying, because in the midst of shuttling my two oldest kids (ages 7 and 9) to this practice and that party, I'd snapped and said some things in anger that I wished I could take back. I wasn't who I wanted to be for my children. Like so many of my friends, I feel like I'm drowning. I'm a weekend anchor on Good Morning America and a cohost on The View, and while I love what I do, it only adds to the chaos of navigating life as a wife and mom. My schedule changes constantly. More than once, I've had to postpone vacations and parent-teacher meetings to hop on a plane to cover breaking news. At home, I try to be fully present for my children, and as a Christian, I get peace from my faith. But none of that means I'm patient. While of course I'd heard of meditation, it used to make me picture people chanting, cross-legged, in a candlelit room. Then I met Dan Harris, my GMA coanchor and an ambassador for the practice. (He wrote the New York Times best seller 10% Happier.) The more I learned from him — about the scientific evidence behind meditation and how it can rewire your brain, making you calmer and more focused—the more I wanted to try it. Dan calls it "a bicep for your brain." So, when Redbook challenged me to meditate for an entire month, I jumped at it. I'm the type of person who needs structure and deadlines — someone to hold me accountable. "I used to be you," said Suze Yalof Schwartz, founder of Unplug Meditation in Los Angeles and my designated coach for the challenge. "I wish I'd had meditation when my own three kids were littler," she told me, noting that I could see a difference in as little as two weeks. So off I went to find some calm. This week was about mindfulness, and yay, I already knew what that meant — to really reflect on the moment you're in, to soak in the experience. I had never done it, but I was sure it would be wonderful. As Suze explained, you can practice mindfulness anywhere and at any time, even while brushing your teeth. To make it easier, she gave me two short daily meditations and access to her studio's Unplug Meditation app so I'd have teachers to guide me. With that kind of success, I moved on to a meditation the military calls "tactical breathing." You take a deep breath in through your nose, hold it, and breathe out again. It takes roughly 16 seconds, and the idea is that when you're focused on your breath, the stuff causing you stress can fall away. The testing ground was dinnertime: The kids were fussy, first about what I was cooking and then about one another. At the table, I took a deep breath, held that tension, and breathed out. "Mommy, are you mad?" my daughter asked, all three of them quiet, eyes fixed on me. Not anymore, sweetheart. Not anymore. Later that night, I did it again to fend off a meltdown (mine) during the hostage negotiations known as bedtime. It wasn't until the next morning, however, that I found my favorite meditation yet: the three-minute cure. While my toddler watched TV, I slipped into the next room and watched my own video. For the first minute, you focus on your breath. For the second, you imagine being in your happy place — for me, that's Lake Michigan, surrounded by family, wind in my hair. The final minute is for positive affirmations. (I repeated Scripture in my mind: I am fearfully and wonderfully made.) When I emerged, I was quite emotional — there's something cathartic about extending the same grace to yourself that you give to others. In the days that followed, I had some mishaps: I fell asleep meditating once, and had to skip it another night when I came down with food poisoning on a flight to Utah. As the meditations got longer, I had to fight my share of distractions, which can be frustrating. ("You'll never completely turn off your thoughts," Suze assured me.) All that said, after just one week, I felt calmer. I was starting to understand the hype. I was really eager to tackle this week's meditations — all designed to engage the senses — as soon as I learned that the first couple involved essential oils, which I'd been using for years. On the first morning, I grabbed two of my favorites (peppermint and orange, which are supposed to help you feel energized), rubbed a few drops in my hands, and breathed them in before starting the three-minute cure. The oils were strong, but immediately I felt more alert, and my nasal passages seemed more open, allowing me to breathe deeper. At night, I did the same thing, but with lavender, to help prepare for sleep. On Wednesday, I was supposed to try tapping, where you lightly drum different areas of your body with your fingertips while repeating positive affirmations out loud. It took about 30 seconds for me to realize it just wasn't for me. (It's a hard pass for my coanchor Dan too, apparently.) It's not exactly practical for someone who tends to meditate on public transit — and I found I preferred my meditations still and silent anywhere. I also did my own version of a sound bath, where you listen to music and feel the vibrations. Focusing on the rhythms and background instruments of some of my favorite Coldplay and Hillsong music was almost like being at a concert. Seriously — I felt transported. These were interesting techniques, but I was struck by how I was able to keep using mindfulness in my everyday life. After a celebrity shoot in Miami, a cameraman came to me and said, "We have a problem — we don't have anything." Seemingly the camera had failed to roll on the interview. I noticed his face turning red as he checked the camera; he had to lean against something to steady himself. "You don't look well," I said. "I want you to do something with me for 16 seconds: Take a deep breath in and hold it, then blow it out." A few minutes later, he was calmer, and thankfully — because there's only so much that meditation can fix — we found the video for my segment too. Guided imagery was on my schedule this week, and I was glad it came later in the month. It would have been a hard sell earlier, but now I understood that being able to take yourself to another place when you're under stress can be an incredibly valuable resource. I started the week out by writing down the things that make me happy. I struggled at first — a painful reminder that, as moms, we often lose sight of ourselves. (What with the floor licking and all.) But after a while, it started to come back to me, and I realized that it's some of the simplest things that bring me the most joy: drinking coffee, watching my kids play sports, picking flowers, hearing my husband laugh. I realized that I just needed to be more present in those moments, to be more mindful. That insight proved invaluable as I moved into the new meditations, sitting for up to 20 minutes at a time as a teacher asked me to envision things like a movie theater where the best possible version of my life played out on the screen ("What would it look like?"). One day, I imagined being in a tropical paradise — hilariously, even as my train's conductor announced, "Next stop: New Rochelle." The longer the meditations became, the more my mind wandered. Did I turn off the sprinkler? Oh, man — I forgot to call my mom back! When am I going to shower today? Now, however, I just smiled through them and brought my focus back to the meditation. It was like I had been doing this forever. I was due to try transcendental, or mantra-based, meditation for my final week, and honestly, it seemed like the most out-there one yet. That said, I was willing to give it a go. Suze put me at ease when she explained the practice this way: Man means think, and tra means instrument — so, a mantra is a mind instrument, a word or phrase you repeat silently that helps you stay focused. The videos I was following along with suggested mantras like "Ahh-hum," but since Suze's studio encourages people to BYOM (bring your own mantra), I modified them to things like "Amen" and "Be still." I sat, for fewer than 10 minutes at first, repeating the mantra in my mind with each breath, softer and softer until I could just sit in the silence. And while I finally reached my limit on the last day — the video was 45 minutes long, but I could only do 15 — I finished the week feeling empowered, knowing that I had made this practice my own. I'm no longer setting reminders in my phone to meditate, because I don't have to. I meditate throughout the day, by pausing to reflect on a leaf outside my window, taking 16 seconds to quiet my thoughts while my kids swirl around me, or focusing on a mantra I desperately need before I lose my mind. Meditation is one of the few things I do just for me, and it's emotional: I've explored places within myself that were neglected or repressed, like warm memories of my family, feelings of anxiety, the harsh way I judge myself. It's made me more present in every aspect of my life. One of Dan's teachers says life is like a game of whack-a-mole — you tackle one thing and another pops up — and while meditation won't change your circumstances, it can change how you react. Now I see that instead of frantically smashing moles, I can slow them down and focus on one thing at a time. My kids have noticed: "You're not as cranky," my daughter offered one day, and my older son said I had been giving more kisses than usual. My being more present with them has been a gift for all of us. They like this me better — and so do I. How do you meditate, anyway? "There are more ways to meditate than there are to make an egg," says Suze Yalof Schwartz, founder of Unplug Meditation in Los Angeles. But they all boil down (ha!) to three things: You focus on a single point, like your breath or an aroma. Then you let it slip away so you can just be present — feel the air on your skin, listen to the noises around you. And then when your mind starts to wander, you bring it back to that single point and begin again. Seems simple enough, right? A lot, actually. 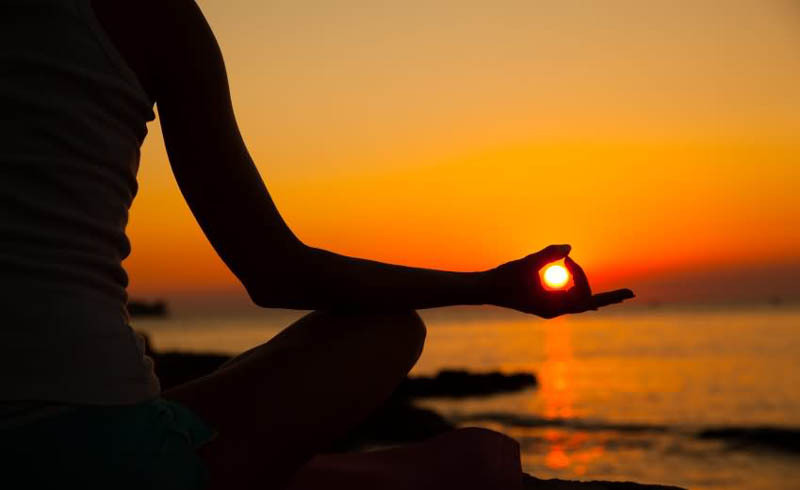 Research suggests that meditation can help ease pain, anxiety, and depression. In one study, people who practiced it for a short time had fewer inflammatory markers in their blood — lowering their risk for stress-fueled illnesses like heart disease. Scans showed that meditation had improved communication within parts of the brain that maintain calm and focus. Still, the science is evolving, and it isn't clear yet how often or for how long you need to meditate to see the rewards. 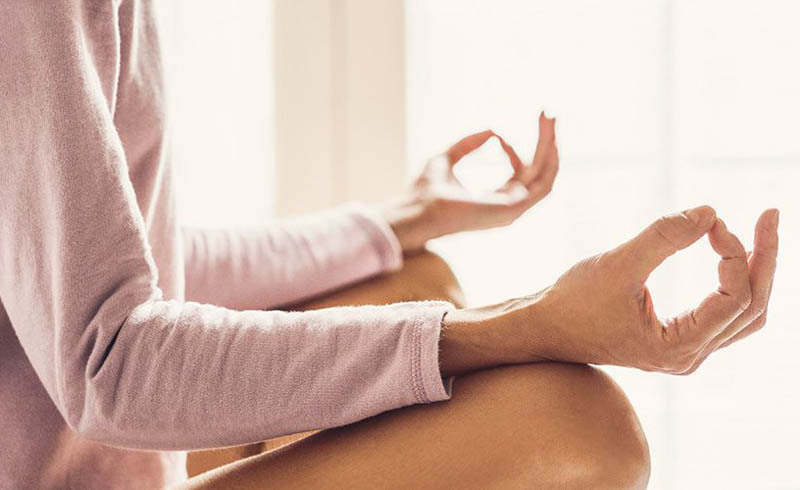 For now, "it's best to think of meditation as a skill — the more you develop it, the more likely you are to benefit from it," says Madhav Goyal, M.D., of Johns Hopkins Medicine. Catch Paula on ABC's Good Morning America Weekend every Saturday and Sunday morning on ABC (check local listings).